Fortunately, I think that you’ll discover that planting a fall garden is just as rewarding and even easier than gardening during the spring and summer seasons. It’s the middle of October here in South Central Pennsylvania, prime gardening season. That’s right, fall gardening really does have some advantages for the determined vegetable gardener. There’s no sweating through hot and humid weather, swatting at hordes of knats or mosquitoes, and no need to lug around the hose or watering can. All of the pictures in this post were taken during the latter stages of October here in my Zone 6 region. 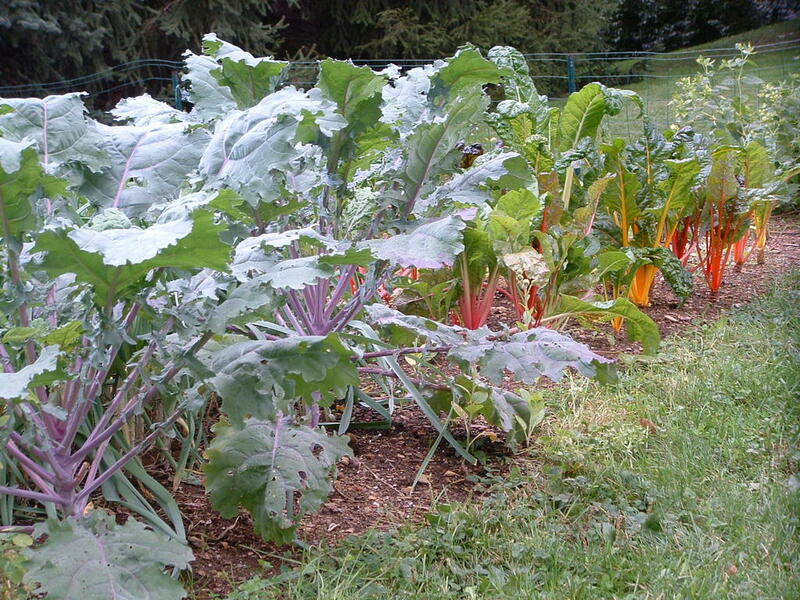 Regardless of your growing region, it’s a cinch to extend your vegetable gardening far beyond the normal season. My fall gardens continue to be productive well into the month of December. The key to successful fall gardening hinges on planting the right types of fall vegetable varieties at the proper time for your region. Many vegetables prefer the cool growing conditions of autumn, and will even withstand and benefit from exposure to the cold and frosts. My favorite winter vegetables include: leafy kale, collards, spinach, broccoli, cauliflower, turnips, rutabagas, beets, carrots, Swiss chard, leeks, oriental greens, endive, and lettuce. I begin planting fall garden crops in mid to late summer, giving the plants plenty of time to mature before winter sets in. Keep in mind that your plants will grow slower as the weather cools and the days become shorter. It may take a little experimenting and tracking of your results to determine the ideal planting times for fall vegetables in your growing region. 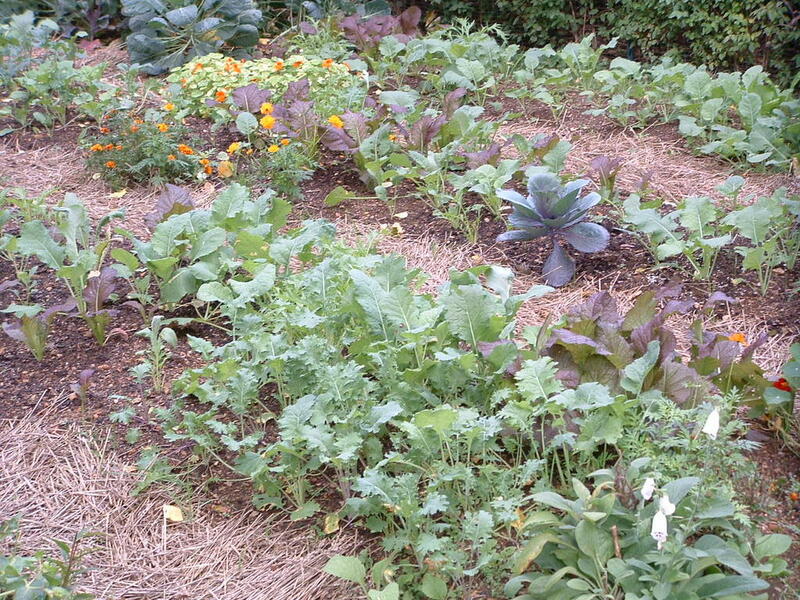 Fall gardening can also help you get a jump on spring by planting crops that will germinate in the fall, survive the winter under a light mulch of straw or shredded leaves, and then resume growth at the first sign of spring arriving. Vegetables that will thrive under this treatment include: garlic, shallots, kale, collards, spinach, mache, and certain varieties of lettuce. 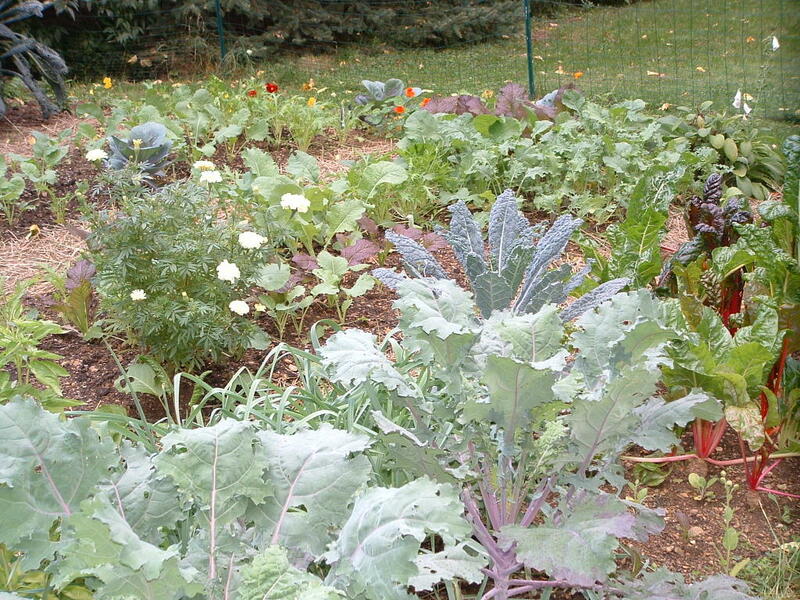 In some areas, growing cold hardy vegetables will enable you to harvest fresh food from the garden year round. Even in a far northern climate, a little protection in the form of a cold frame will provide you with fresh greens when the garden is completely covered by snow. 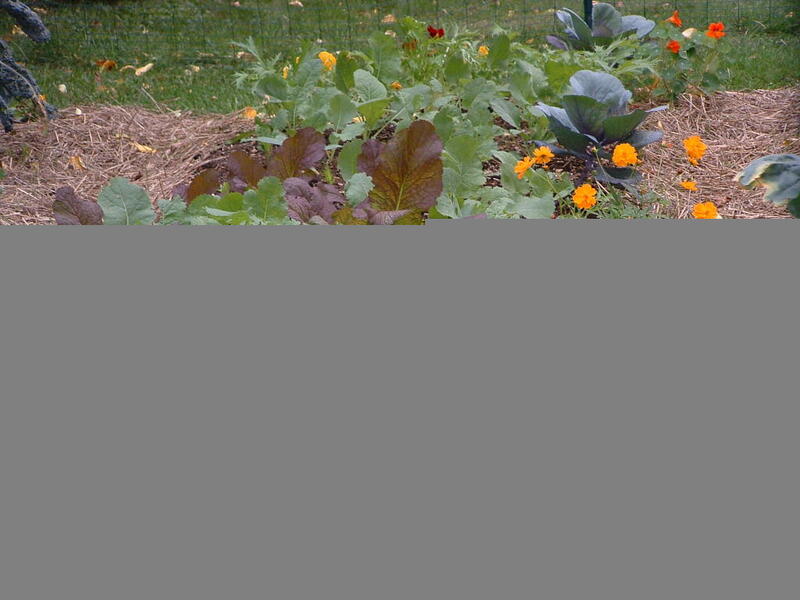 You may be surprised by just how productive and enjoyable your fall gardening escapade becomes. For more details on fall vegetable gardening check out my new backyard gardening ebook: “Amazing Secrets to Growing Luscious Fruits and Vegetables at Home” which includes an entire chapter devoted to fall gardening techniques. Finally I found a blog where its concept of gardening is pretty near to my way of gardening. I am really impressed with your blog and hope you can visit mine also. Wish we can get in touch with each other’s blog consistently. I even put a link to your blog. Keep it up with your good work. Its wonderful to see someone else not just attempting a fall garden, but telling others how to do it. I simply fell into gardening this fall by accident. The local Big Lots had the summer surplus of seeds for sale. I bought the entire lot of vegetable (40-50 varieties) and perenials (10 or so) for $10.00 USD. I built the 14′ x 9′ raised bed from old fencing materials, the compost was had for $7.00 and about 5 hours to turn the grass over and lay the compost and build the frame. It has changed my life, from being dependent on groceries, to now understanding a bit more about self sufficiency. I tossed in what I thought would be good Fall and Winter growth. Your site along with some others have encouraged me to do a late Fall seeding, today starting with garlic (in the row of chives that didn’t come up, only 1 of my 13 rows didn’t come up quickly). Its been a hoot, and I think I’ll start blogging with photos here as well under a new moniker that reflects my efforts and intensions. I am just starting my fall garden and the information I have read has been extremely informative. 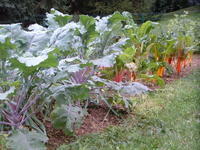 I really enjoyed your post on fall gardening. I agree with you, that it can be a more comfortable experience being out in the garden during fall, rather than during the hot summer months. Your tip on the extra protection required during fall gardening was excellent. 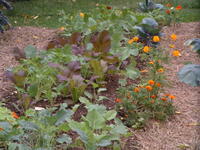 I really am enjoying the abundance of gardening information that you provide to your readers. Fall gardening can be just as enjoyable as starting your vegetable garden at the beginning of Spring and Summer. The cool Fall mornings are very comfortable and when the foliage of the trees start turning bright colors along with the growth of your fall garden vegetables it can make for a very relaxing experience. I very much enjoyed the Fall Gardening article and was surprised at how many different plants can be grown in the fall. I plan to give some of them a try this coming fall and maybe even build a hot bed. What are some ways to build a inexpensive hot bed and what’s a good height for one to be? The hot bed that I made used hardware cloth with a soil heating cable tied to it that was then buried under a cold frame. Traditionally manures were buried under the soil in a cold frame or box and allowed to heat up to provide warmth. The height just needs to be high enough to accommodate the plants that you intend to grow inside the hot bed. Thanks so much for you advice on Fall Gardening. I moved from a house to an apartment, and I’m trying my first at Balcony Gardening. I gardened every year at my home, but growing on a balcony is a little different. I love baby carrots, lettuce, and spinach; and I love collard greens. So, I’m going to give this a try here in probably late July. I live in Kansas, and it does get HOT here. What a great way to make extend the joy of the growing season from Spring! Fall can be a little sad at times because things are dying preparing for the next year, but this advice is great! Thank you! I am having trouble finding gardening tips for veggies and stuff grown in planters (Containers). I’m a renter and i plant in containers so if i move..they go with me. I’ve planted in half wine barrels and some in 5 gallon buckets. All have holes drilled for drainage and various sized rocks in the bottom to help with drainage. Is there something special i can do to help with Fall gardening in containers? 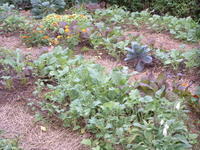 Or to help spring crops make it through winter to grow in Spring? ANY Container growing advice is greatly appreciated! Watch the temperatures and when it is going to be below 40 either cover your pots well or just take them in. Often one cold day or night does not happen again for awhile and most plants can withstand a day or two of no sun light or reduced light being indoors.